Being a mom of a 2 year old and an 8 year old it's sometimes hard to find activities that both are interested in and can do. However, they both love candy. 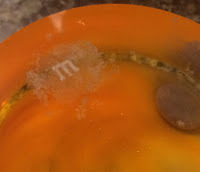 My 8 year old was watching youtube and came across some cool candy experiments she wanted to try out. We had some left over halloween candy so we decided to have some science fun. We placed gummy's in different liquids to see what would happen after they sat in there for a day. 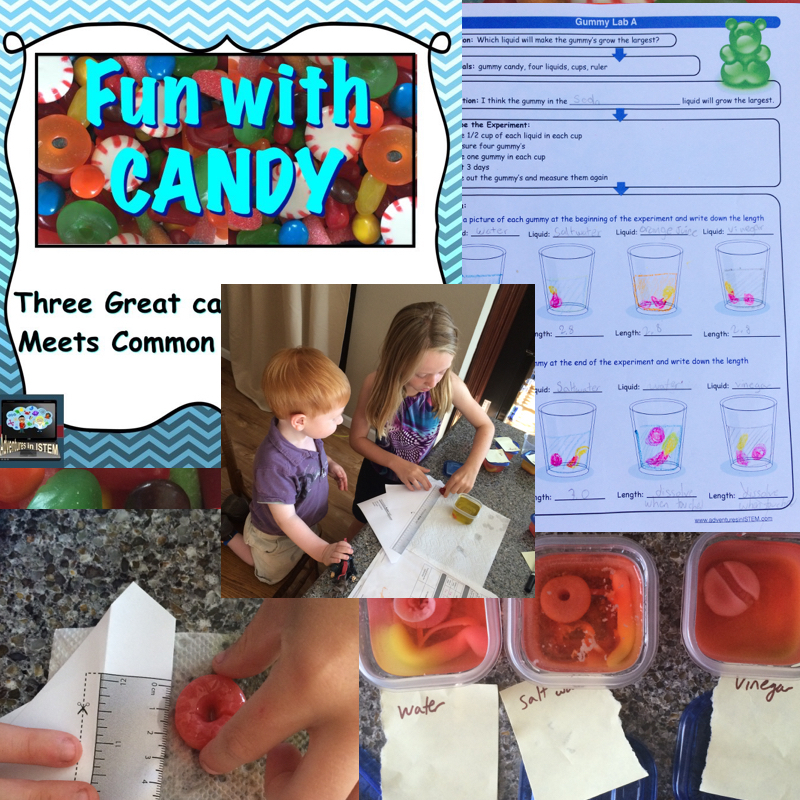 My two year old enjoyed helping to place the gummy's in the different liquids and my 8 year old enjoyed measuring out the liquids and pouring them in the cups. As the gummy's were growing my 2 year old talked about what he saw and my 8 year old got to measure the size of each gummy before and after and practice her math skills of making bar graphs. We noticed that a lot of the gummy's fell apart as she tried to pick them up so she had more questions like how long would it take for them to dissolve completely? For our next experiment my daughter wanted to see if m&m's or skittles would lose their letter faster. We practiced sorting colors with my 2 year old and measuring with my 8 year old. I think both kids ate more candy than went into the cups. It didn't take long for the letters to start floating to the surface. My 2 year old got very excited to see "his letters" (he is obsessed with the alphabet) and my 8 year old enjoyed looking at the water turn different colors. Although these two experiments contained the same materials both kids were able to have a great time and learn science based on their age ability. Since I teach middle school I also use these candies with my students. Again same materials taught differently based on student ability. If you want to do these experiments with your kids or students than click here for more information.